Mailing Letter Sounds To Animals! This is a fun way to practice and review letter sounds. I got this idea from a book we have called ‘Entertaining and Educating Young Children’ by Usborne. 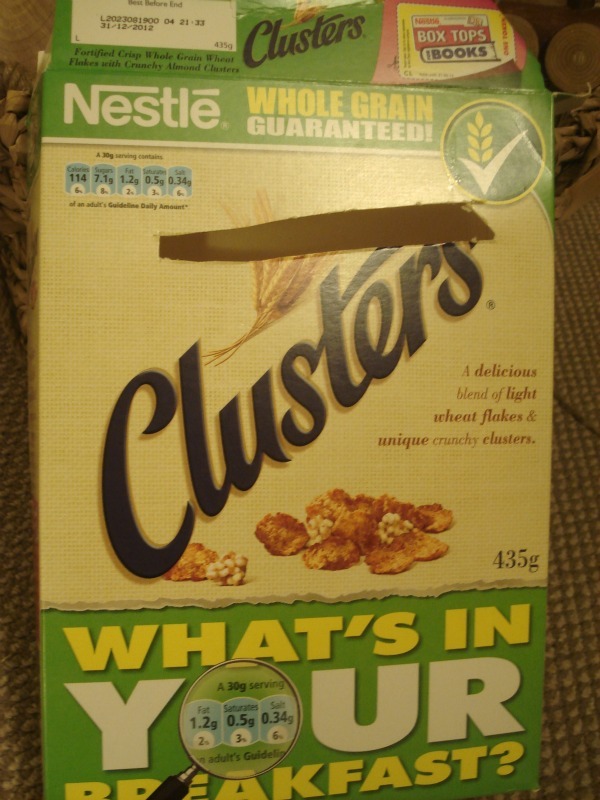 Get an empty cereal box and cut a long hole in the front. I used a pocket knife, and it came out crooked, but it didn’t matter. The book says to use letters written on paper but I used our foam bath letters to save time, since they’re already there. 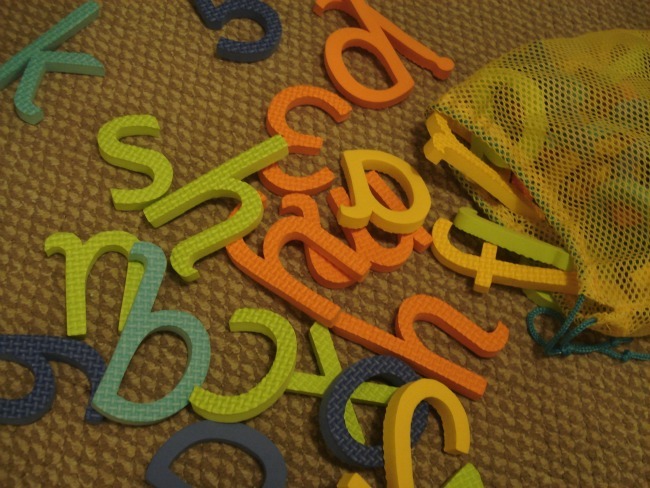 You put the pile of letters, (or only about 5 of them so it’s easier for the child to find them) in front the child. 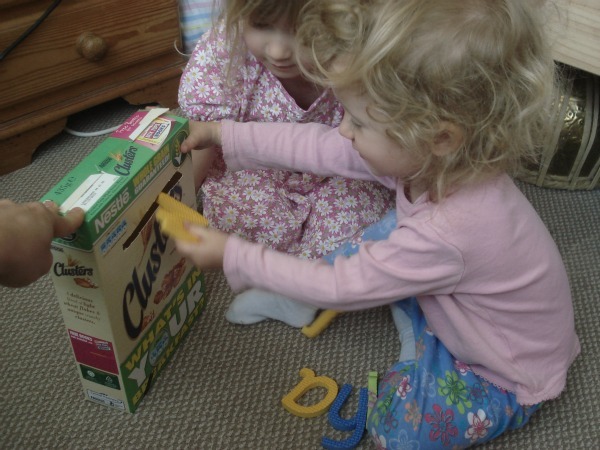 The letters we used are from Mothercare, and are the lower case ones.